Groundwater must be recharged so the aquifer is available to get through future droughts. For more than a century, California farmers have extracted water from underground to irrigate crops during droughts or where surface water is not available. However, in recent decades, water reservoirs that accumulated over thousands of years underneath the state's valleys are being tapped with deeper and deeper wells that pull out more water than can be replenished in the winter. The 2012-14 drought intensified the problem. Greater groundwater usage than recharge has left some rural homeowners' wells completely dry. Land is subsiding as clay layers that are interspersed between sandy and gravelly aquifers beneath the surface compress due to lower pore water pressure, which is responsible for keeping clay pores open. To ensure California's aquifers are available to meet future generations' water needs, proper management in terms of extraction and replenishment is critical, says Thomas Harter, UC Cooperative Extension groundwater hydrology specialist. Urbanization and advances in agricultural technology have reduced historic groundwater replenishment. Asphalt, concrete and buildings block water infiltration. 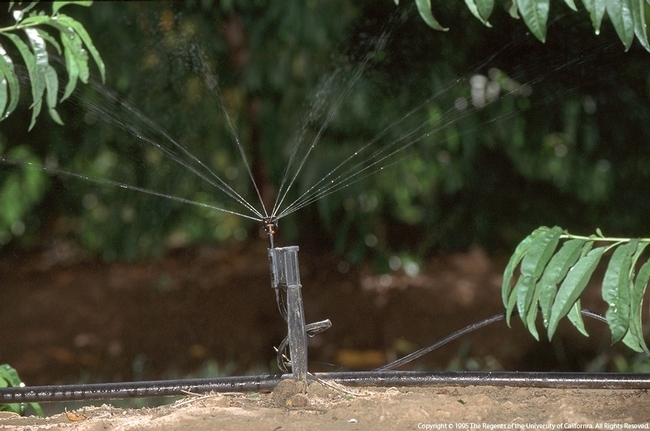 Water-saving irrigation devices – like drip and microsprinklers – are more protective of groundwater quality, but have reduced the amount of water applied to crops and are cutting down on recharge into the aquifer. In urban areas, substituting gravel for concrete and leaving areas undeveloped can boost aquifer levels. There is also more that can be done in the agricultural sector to replenish groundwater with clean recharge. Microsprinklers have allowed farmers to use water more efficiently, but compared to flood or furrow irrigation, less water percolates down to replenish groundwater. 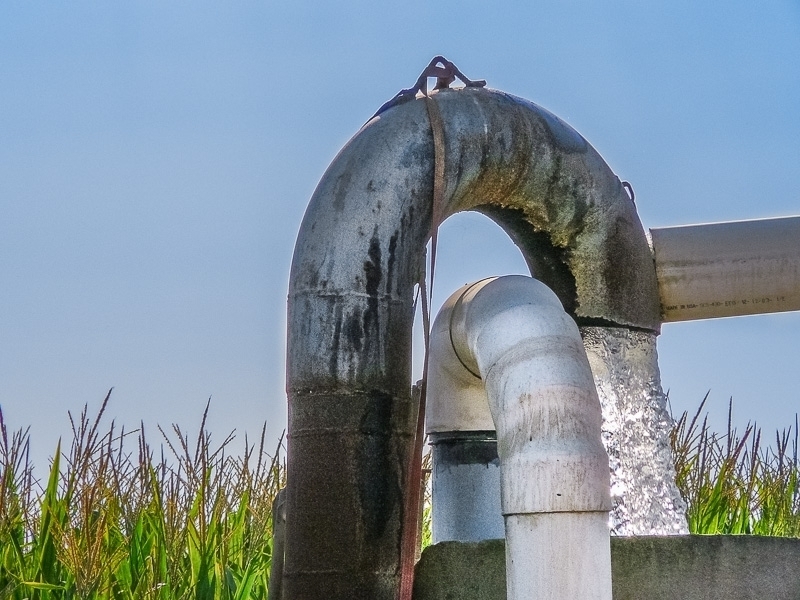 In 2014, the UC Division of Agriculture and Natural Resources funded a three-year research project to study the use of agricultural production land for recharging excess surface water. The project is led by Helen Dahlke, assistant professor in integrated hydrologic sciences at UC Davis and faculty member with the UC Division of Agriculture and Natural Resources Agricultural Experiment Station (AES). The team includes UCCE specialists Harter, Daniele Zaccaria and Samuel Sandoval Solis, AES faculty member Dan Putnam, and UCCE advisors Allan Fulton (Tehama, Colusa, Glenn and Shasta counties) and Steven Orloff (Siskiyou County). The scientists hypothesize that alfalfa fields and irrigated pastures might be ideal locations for clean aquifer recharge. Both crops demand a relatively low use of fertilizers and pesticides, which means the water soaked down from these fields will be unlikely to carry large amounts of contaminants to the aquifer. The prevalence of flood irrigation in these systems might provide the infrastructure needed to convey surface water, reducing the potential cost of implementing new flood flow capture systems. The idea is that during storms (or flood control releases) excess surface water could be directed from streams via existing water conveyance systems onto dormant agricultural fields, which would serve as infiltration basins. If successful, tens of thousands acre-feet of water could be recharged annually into California's aquifers during very short periods. “The banked groundwater would then be available to farmers and municipalities to draw on during dry years,” Harter said. The project will provide data to address concerns about the costs and risks to crops, the influence these projects may have on groundwater levels and flows, and the possibility of recharging contaminated water or degrading groundwater quality by leaching contaminants such as nitrate into the aquifer. For more information on groundwater replenishment, see Out of sight but not out of mind: California refocuses on groundwater in the July-September 2014 issue of California Agriculture journal.